Rising demand from militaries for weapons and equipment, bureaucratic challenges, political influence, time lag between introduction and adoption of technology – all contribute to cost overruns and significant delays in delivery of final products (Auger 2014). These delays and cost overruns result in public criticism of defence procurement not only in India but across the world. This explains the focus on defence procurement reforms in order to accelerate acquisition and product delivery timelines, streamline the process for efficiency and provide oversight of procurement systems. In countries like the US, a perceived loss of military-technical superiority is the driving force behind their pursuit of procurement reforms (Fitzgerald, Parziale, and Sander 2016). In China and Australia, overall geopolitical concerns and their status as regional powers have been the driving force behind their reforms. India has all these concerns and more. India is barely managing to maintain its status as a regional power in the subcontinent, let alone emerge as a major power in Asia. Those hoping for India to emerge as a bulwark against a rising China and play a more active role in the global geostrategic arena would want the country to implement a more efficient and effective defence procurement policy that will allow it to maximise the bang for its buck. The Modi government has been focusing on providing a strong fillip to domestic manufacturing. Developing an indigenous defence manufacturing sector is part of the ‘Make in India’ policy. The iteration of the defence procurement policy (or procedure) (DPP) released on March 28, 2016, has undoubtedly encouraged contribution to defence production by small and medium enterprises (SMEs). However, notwithstanding the positive policy changes introduced, these may not suffice the much needed streamlining of procurement processes. The present government has taken the first step towards identifying and addressing fundamental issues of India’s defence establishment. This is reflected in the appointment of the Shekatkar and Rae committees. An 11-member committee, headed by Lt General DB Shekatkar, is mandated to recommend measures “to ‘rebalance’ defence financial allocations between revenue and capital expenditure” (including issues such as the requirement of a new mountain strike corps). The Shekatkar committee submitted its report on December 21, 2016 (Shukla 2016). Its recommendations have been well-received. 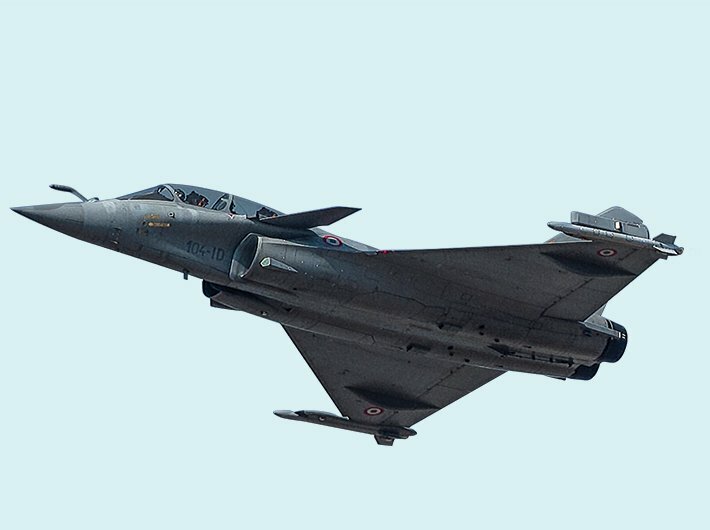 The Vivek Rae committee has nine members and is charged with the task of studying the “setting up of Defence Procurement Organization in the Government of India”. The Rae committee is principally focused on addressing the streamlining of defence procurement processes. The issues covered by the two committees are critical in India’s efforts to craft a defence economic strategy that is effective and in sync with India’s strategic objectives in present times. A pressing issue in the DPP and related defence procurement strategies is the minimal contribution of private SMEs in defence production and procurement. This weakness starts with the absence of the involvement of private industry in the formulation of defence procurement reforms. This is reflected by the absence of private industry representatives on the Rae committee. This could be a serious omission with major consequences for the success of both defence indigenisation and ‘Make in India’. If private sector players are not provided a platform as equal partners, both defence procurement and indigenous manufacturing will remain in favour of public sector enterprises and imports. Consequently, the much needed rise in private sector participation in defence production will unfortunately not materialise. This will effectively negate all positive policy changes that have been worked on so far. If the reworking of defence procurement and overall policy frameworks are to have any success it can only be achieved by involving private sector players as equal partners. This is where India can look at the approach of other countries pursuing defence procurement reforms. In this context, the concept of ‘optionality’ as proposed in a recent study titled ‘Future Foundry: A New Strategic Approach to Military-Technical Advantage’ by the Center for a New American Security (CNAS) is worth considering. Optionality is suggested as a new strategic approach for maintaining the US’s strategic technological superiority. This approach involves aligning the strategic needs of the nation with available technology as well as business models that the nation’s defence establishment adheres to for developing and fielding military capabilities (Fitzgerald, Parziale, and Sander 2016). In the case of a defence-industrial complex as advanced as the US, this requires reworking policy and, defence and civilian talent together in order to develop a diversity of options that military can fall back on, in various scenarios. The underlying principle of ‘optionality’ is to align complex systems in order to achieve both economy and efficiency. Achieving economy and efficiency is crucial given that defence spending patterns are changing worldwide: not as a result of a lack of conflict but as a result of trends in economic and technological developments, which differ significantly between high-income and low-income nations. Deloitte’s ‘Global Defense Outlook 2015’ highlighted that defence budgets of high-income nations are reducing to accommodate their domestic economic concerns. In contrast, low-income nations are increasing their defence spending to spur economic development and enhance defence capabilities. This basically means that increased defence spending is concentrated among Eurasian countries, namely Russia, China and India. From a strategic perspective, this means a resource-intensive approach to developing defence capabilities among nations like China, Russia and India. On the other hand, countries like the US, UK and Germany, which have spent significant amounts on building their military capabilities in the past, now seek to economise their expenses without compromising their military-technical superiority. This creates a perception of geopolitical imbalance with high-income nations being wary of the increased defence spending of low-income nations. According to the Stockholm International Peace Research Institute Military Expenditures Database, 2015, India’s defence spending was $51.3 billion that year. While this is higher than previous years, it is hardly comparable to the budgets of China (over $214 billion) and the US ($596 billion). India must maximise its returns from defence outlays and balance these outlays over revenue and capital expenditures, which was the mandate of the Shekatkar committee. Under these conditions, Indian policy could fruitfully use optionality as an effective approach for defence production and procurement policy development. An optionality strategy is based on categorising technology and equipment needs based on varied threat scenarios, keeping in mind economic and political restraints. India has to segment its technology needs and optimise its acquisition approach and policy according to its recognition and prioritisation of threats to national security. Naval, aviation and army requirements differ greatly and each requires its own specifications and timelines. This results in differences in vendors, capital requirements and research and development timelines. Adopting a unified technology development or procurement strategy for all three will not pay off in the long run, no matter how economical the decision may seem in the short term. The defence establishment would do well to recognise that it requires multiple approaches. One for unique military capability development where competition is constrained, another where competition is viable, a third for military adapted commercial technology (an off-the-shelf approach) and a fourth for purely commercial technology. In the Indian context, budgetary constraints, complete lack of research and development (R&D) and significant lag in adoption of technology act as restraints on both defence procurement and indigenisation. The need for civil-military cooperation, more specifically synergy between the public and private sectors for both foreign procurement as well as indigenous manufacturing of weapons and equipment, has never been more pronounced. As pointed out previously, involving domestic private sector manufacturers is a vital aspect of building an arsenal that can be deployed in a range of scenarios. Innovation and R&D is better managed at source by manufacturers. If practitioners within the defence establishment collaborate with industry in order to detail and suggest responses to a variety of scenarios, then India stands to gain from making procurement and indigenisation efficient and viable. All of this and more can be achieved if optionality is adapted as a guiding principle for procurement policy reforms. In the short or even medium term, India will admittedly not be able to achieve the levels of military-technical capabilities comparable to the US, China, Russia or even the UK. Optionality could provide an optimal policy framework for designing a coherent defence-industrial economic strategy. This adaptive approach, by optimising the balance between indigenous production and imports, would help India retain its military superiority in the subcontinent, which remains a dominant geopolitical concern. It will also provide India’s indigenous defence industry, including the dynamic defence SME sector, the impetus that is so desperately required.